Diverse, coherent, and captivating too. 1 year 12 months ago. 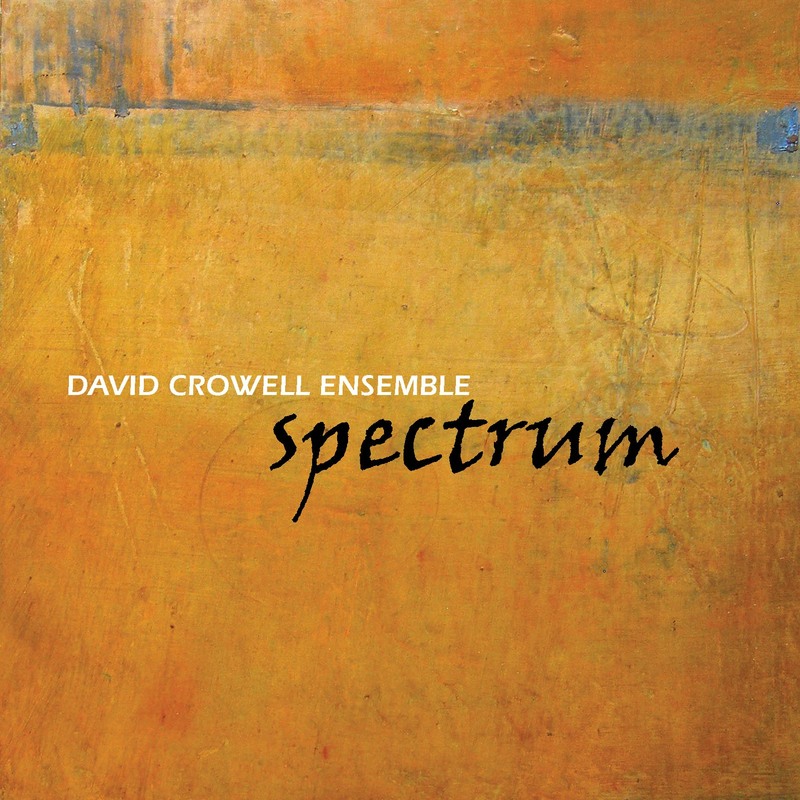 On Spectrum, New York City-based saxophonist and composer David Crowell fuses strictly notated composition with jazz and ambient improvisation. A love for the music of composers Steve Reich, Philip Glass and John Zorn merges with his roots in jazz and improvised music to create a focused and original sound. Satisfying for its diversity but coherent in its message, Spectrum travels a vivid emotional landscape. In “Point Reyes,” six alto saxophone parts bounce off each other with relentless abandon, creating a unique kind of counterpoint, both dense and beautiful. In “Nectar of Life”, the ensemble delivers a hard-hitting and virtuosic display of raw power. “Long Goodbye” and “Looking Deeply” are entirely improvised; sophisticated guitar loops and sensitive drumming create a space for reflection and meditation. In “Happy Nightmare,” a minimalist bass line anchors an ominous guitar and aggressive saxophone, while “Great Wide Open” explores the subtle evolution of a chord progression into free-form improvisation. David Crowell is a featured composer at the 2009 MATA Festival, a New York City forum for presenting the new music of emerging composers from around the world. In 2007, he was a composer-in-residence at the Bang on a Can Summer Music Festival. David’s percussion and ensemble works have been performed at numerous venues in the U.S. and Mexico. A member (woodwinds) since 2007, David performs internationally with the Philip Glass Ensemble. A member of Philip Glass' ensemble since 2007, some of Crowell's pieces on Spectrum have a decidedly minimalist bent. It's a little funny, because the disc opener, “Happy Nightmare,” plays with some of the rhythmic offsets and things like that, but still exists as a kind of modern jazz piece, balanced between improv and composition. The leader plays alto over churning bass and drums with Grey McMurray's guitar adding spacy textures around the edges, actually hewing somewhat close to an m-base feel like some of Vijay Iyer's cerebralist concepts. And it's pretty burning, I have to say. Things then take a left turn as “Point Reyes” develops into a pretty straight ahead minimalist workout, followed by “Long Goodbye,” a piece given over almost entirely to McMurray's ethereal guitar textures, augmented by some tapping on the drums by Nazary. It all does make sense, though, because of Crowell's talents as a composer (not unlike fellow New Yorker John Zorn, he's also an active “classical” composer, writing works for things like string quartets and much larger ensembles with strings and winds etc.). For me, the more aggressive tracks stand out, perhaps as a respite to the repetitive motifs of the more classically oriented writing, and also notable is the improvisation as here and there members of the band break out of the stringent compositional constraints and really blow.